Ripple espresso cups revisiting geometry and textures on a small scale. 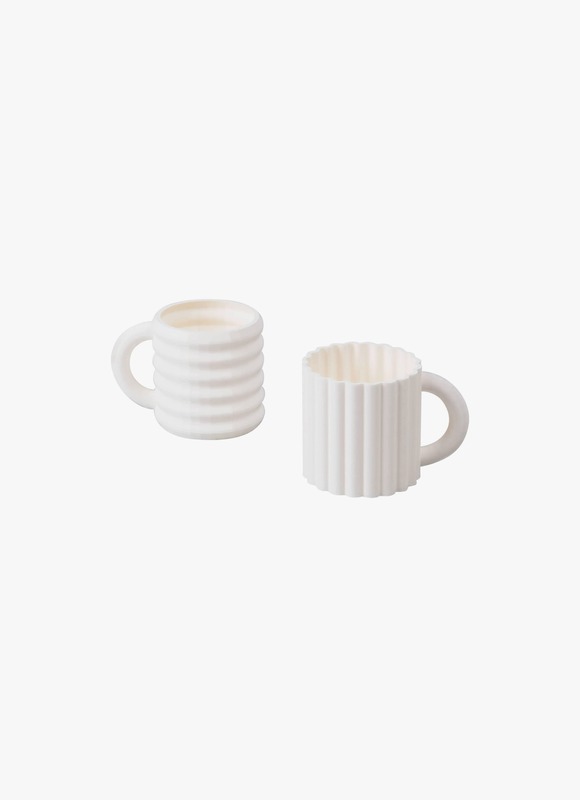 Inspired by old Greek Doric columns, Ripple espresso cups stackable to occupy less shelf space. Ripple cups are 3D printed to get the exact fractals as the 3D drawing and cast on ceramic later on. Turkish-born Nur’s practice, Studio Bilge Nur Saltik was established in 2013, shortly after receiving her master’s degree in Product Design from the Royal College of Art in London. 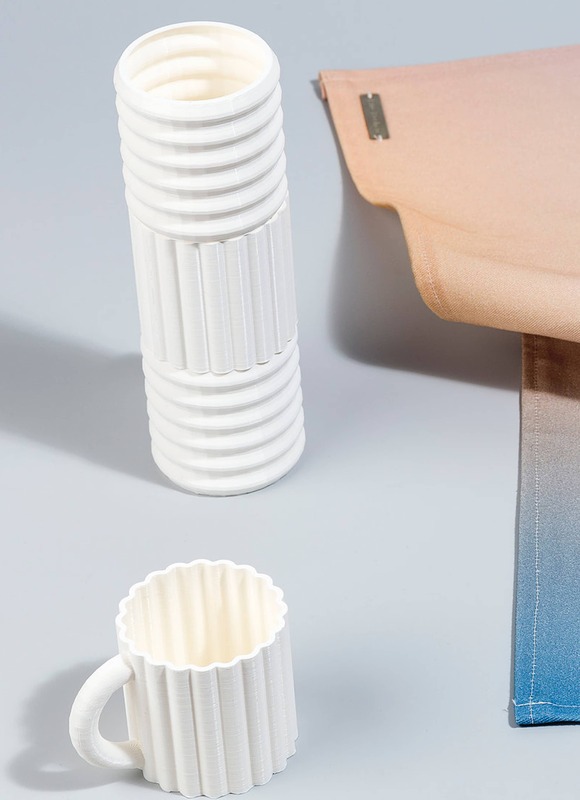 At Studio Bilge Nur Saltik today, each product emerges from a powerful narrative and is fuelled by an interest in human behavior and human interaction with objects. From integrating cutting-edge consumer electronics with familiar household objects, blurring boundaries; to bringing the age-old thrill of optical illusion into sophisticated design products–Nur seeks to engage and invigorate viewers and users of constantly. 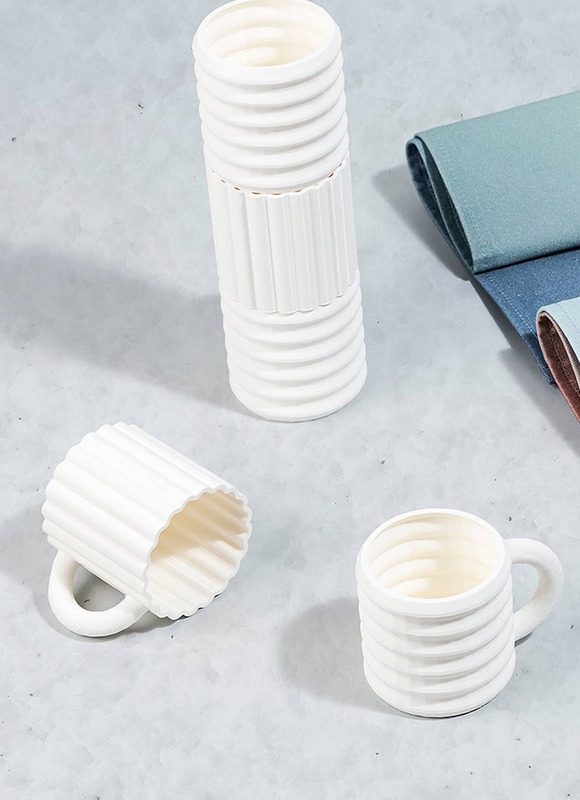 With products and projects spanning across multiple design disciplines and mediums, Studio Bilge Nur Saltik molds timeless materials such glass, ceramic, stone, wood, and fabric into a new life. Nur is also co-founder of London based international design collective Form&Seek.